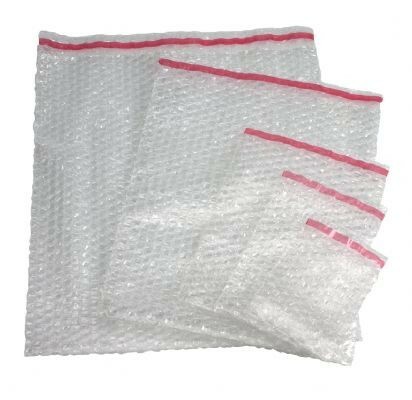 R+R Industrial supply protective ant static bubble bags in a variety of different sizes. Suitable for a range of items but most often used with electrical items due to their anti-static qualities. Made from high class materials the bags feature small air filled bubbles across their surface to create a cushioning barrier against knocks and bumps. They are water resistant to help keep items dry and have a self-adhesive sealing strip for quick and easy opening and closing.